KATHMANDU, Aug 28: The religious attraction of Ghorahi, Pandeshwor Mahadev Dham, is becoming a top location for religious tourism. 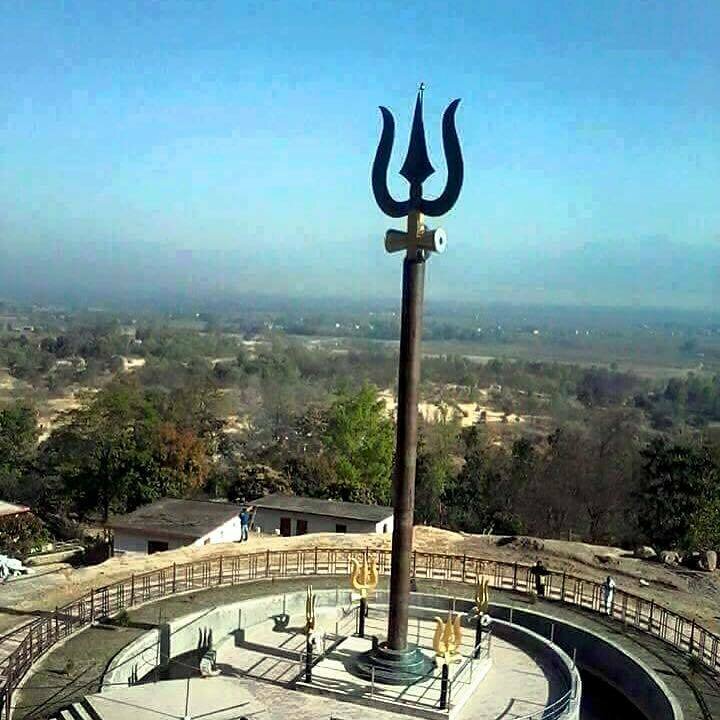 The Pandeshwor Mahadev Dham is the location for the world's tallest trishul/trident and is now seeing some infrastructural development which is attracting more tourists to visit the location. The number of tourists visiting the site to see the tallest trishul is also increasing. The trident is 55.5 feet tall. Tourists from different parts of Nepal as well as India visit the site due to its religious significance. The blacktopping of the road to the temple has made it easier for tourists to visit the site. The surrounding greenery and the Ganga Babai River nearby makes for an enjoyable visit. Secretary of the local tourism development committee, Bishnu Ram Acharya, informed that the committee is preparing a master plan for tourism development in the region at a budget of nearly 900 million rupees.